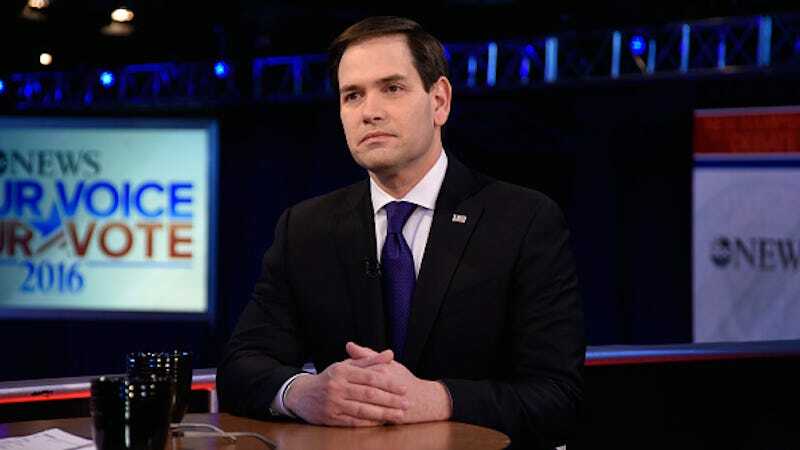 Morning Joe host and former Republican politician Joe Scarborough has a bone to pick with self-proclaimed “bae” Marco Rubio, who has appeared on a variety of shows on competing networks but refuses to come in for an interview on his. ‘Have him come on with us,’ the producer wrote. “While Mr. Rubio has boycotted the program, its hosts have derided him for everything from his fashion choices (‘shagalicious’) to his lack of legislative accomplishments, producing the kind of memorable moments that have taken off on social media. In an interview Saturday, Mr. Scarborough could not hide his disapproval of Mr. Rubio, describing him as ‘programmed’ and ‘risk averse.’” And after Mr. Rubio’s debate performance on Saturday appeared to validate his critique, Mr. Scarborough took something of a victory lap. However, many people think the critiques are personal, and that Scarborough is jealous. “Both men were ascendant conservative stars in Florida until their paths diverged,” writes the Times. Scarborough, who has never actually met Rubio, insists his job is better. “I guarantee you if [Rubio’s] not elected president, he would much rather have my job than anything else,” he told the Times. In the meantime, every other major candidate has come on Morning Joe except Rubio, and Scarborough continues attempts to land an interview with his rival.